Text Based Character Study Workshop with Val Planche May 23! Bring your character from the page, to the stage! This workshop will focus on how to more fully use a script to make stronger character choices as an actor. We will explore how to go beyond the obvious, especially digging into the layers that the writer has set out – and how to find clues to those deeper meanings. We’ll also look at our relationship to language, how active language can enhance our performances, and MORE! If you’ve ever wanted to gain more insight in breaking down a script, or are looking to expand your acting arsenal – this workshop is for you! 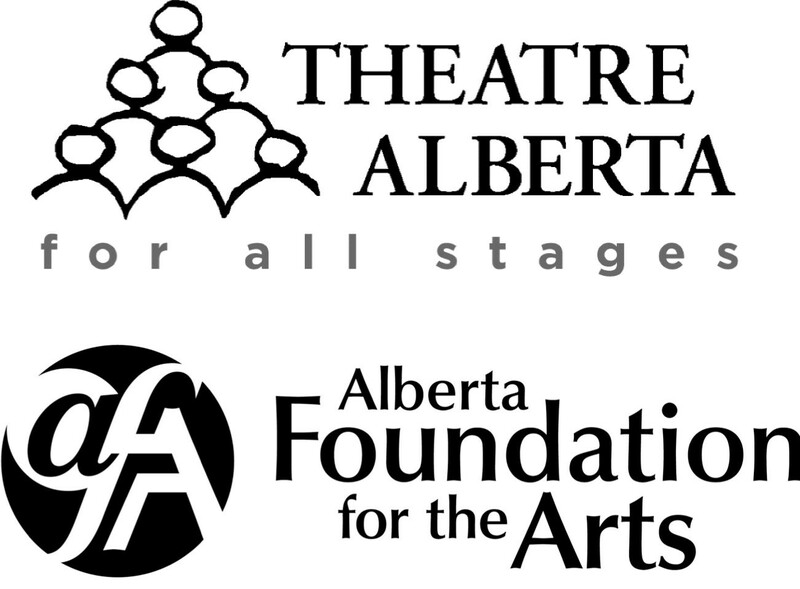 Valerie is a Calgary based director, teacher, as well as a Betty Mitchell and Elizabeth Sterlings Haynes Award winning actor. She has facilitated acting classes for the last 20 years with MRC, U of C, Company of Rogues, and many more studios in Calgary. 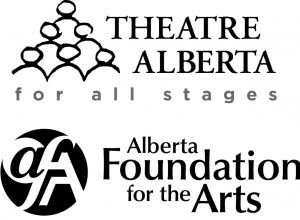 She has her Master’s degree in Theatre Practice from the University of Alberta and was recently seen in Theatre Calgary’s Liberation Days and Becky’s New Car at Alberta Theatre Projects. Congratulations to our Ruddigore G&S JRS! 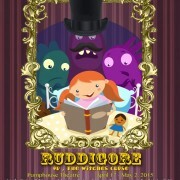 The students will be performing our very own Junior Version of RUDDIGORE on the full set at the Pumphouse Theatre on Tues Apr 21! This performance is for family and friends of the performers, but all are welcome to attend. A special congratulations to Sean Haid, who completed the G&S Jr program last year, and this year is in the adult show! Way to go Sean! For 20 plus generations, the Baronets of Ruddigore have been ruled by a witch’s curse that requires them to commit a crime every day, or else perish in inconceivable agony. THIS is where our tale begins… A story full of love, the supernatural, outrageous situations and songs by the original masters of the musical comedy; Gilbert and Sullivan! Expect a frightening curse, ghosts coming to life, and a sudden surprise conclusion, all told with clever songs and dances. In the next couple months, we will be contacting you a couple more times to remind you to SIGN UP for our new content-based mailing lists. Thank you to everyone who has already taken the time to sign up for the emailing lists that interest them. Simply log in on our website HERE and update your mailing preferences. (If you think that you do not have a password, simply use the “forgot your password” feature.) 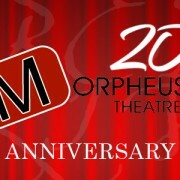 If you are having difficulty updating your preferences, please call us at 403-246-2999 or email tickets@morpheustheatre.ca. Our newsletter will also be shifting to a blog format, which you will be able to follow on Facebook, Twitter, or join our #5 General News List. Dance for Musicals Workshop with Danielle Desmarais, Apr 24 & 25! Danielle will not only be teaching basic steps used in a variety of styles in musicals, but also sharing tips for how to excel at dance auditions (it’s not just doing the steps perfectly), learn and retain choreography, and bring you to the next level in your stage dancing. She will also be fielding all the questions you’ve ever wanted to ask about musical theatre dancing, but didn’t have a chance to. Join us for a fun weekend of dancing and learning how to be the best stage dancer that you can be! Danielle Desmarais was born and raised in Calgary AB, where she studied many dance disciplines since she was 3 years old. Including Jazz, Tap, Ballet, Lyrical and Musical Theatre. She studied at the Canadian College of Performing Arts in Victoria BC and has since been choreographing and performing for community theatre companies such as Front Row Centre and Storybook Theatre, while teaching and sharing her love and passion for dance with people of all ages. Her recent credits include Jesus Christ Superstar (FRC), Young Frankenstein (FRC) and My Fair Lady (FRC). Refreshments served half an hour before the start of each session.